When it comes to customizing your firearm, gunstock laminate gives you a lot of choices. There are many base material choices available in addition to a host of finishes. Not to mention coatings, laser etching, and even custom engraving. One versatile choice is colored laminate. It is a very stable material and holds up well in many weather conditions. It machines easily with today’s woodworking machines. In addition, sanding is similar to sanding natural wood. 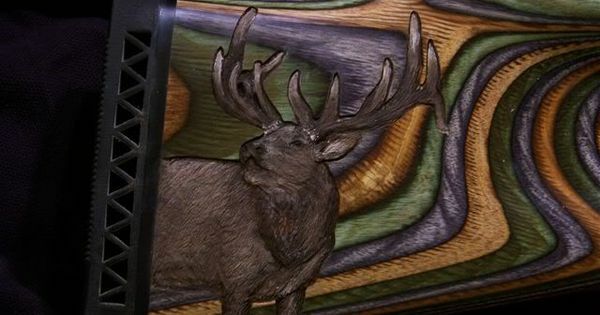 With the available color choices in addition to a virtually unlimited number of patterns, laminate is a sure way to make your firearm one of a kind. Furthermore, laminate also provides a great base for checkering, laser engraving, and custom engraving. And considering how long you will be keeping your firearm, a little cost up front is worth the investment.